The 300Richmond community hub is a new modern facility that includes a range of casual meeting spaces, relaxing areas to sit and eat lunch or have a moment to yourself as well a large kitchen with all the comforts you’d expect, including a brand new barista quality coffee machine. Our hub includes options for small casual meetings in acoustic pods as well as tables and chairs for more open meetings – you could even sit and do some work here if you needed a change of scenery for an hour! This is a great space to network and collaborate with other business owners from 300Richmond. This is also where we hold our morning teas, Grey Lynn Business Association get togethers and other networking events. You can also hire this area if you required a larger event space. 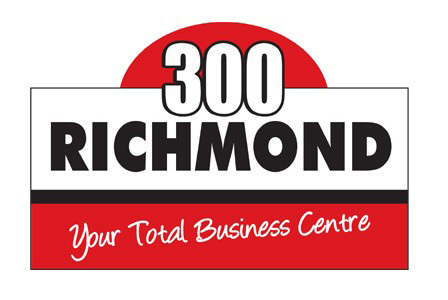 300Richmond is a thriving business community with a great mix of business industries, and a great mix of people of different age groups, cultures and walks of life. This gives 300 Richmond a great vibe and creates some awesome networking opportunities over the coffee machine. We, ourselves have taken advantage of the huge talent within 300 Richmond for a number of services. We encourage our residents to join us for regular events and have celebrated some important milestones with them over the year; while we lease on a month by month basis, we have a number of long term tenants who have been with us for 10 years, and feel the importance of recognising their contribution to our success. Come and visit us and see why we’ve been successfully offering great service in the small and medium sized business space for over 30 years!